It is not easy to categorise the sharing approaches into logical buckets and there is quite a bit of overlap. Hopefully my explanation below will make it easier to understand the options. 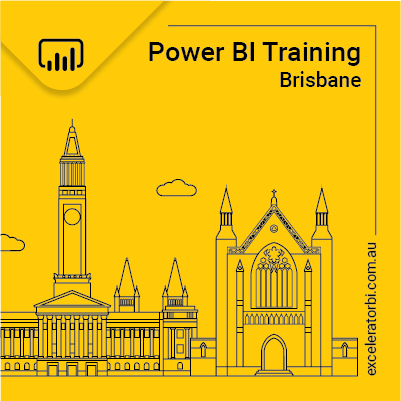 The most basic way to share your Power BI content is to simply share your PBIX workbook (created by Power BI Desktop) using traditional methods. There are a few reasons why you might want to do this. Reasons you might want to do it Things that might turn you off. It is no harder to share a PBIX workbook than a Power Pivot Excel workbook. Workbooks can get very large – hundreds of Mb so they can be hard to share if they are that big. There are no Dashboard capabilities until you publish to Power BI Service. You can’t stop sharing – once you send the workbook, the other party has it (not so with the Service). So while you can do it this way, sharing via the Power BI Service is probably a better way to go. 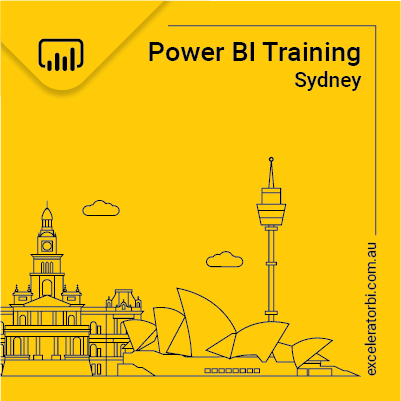 Power BI Service was built for the explicit purpose of sharing, so why not use it – its free to get started. Once you sign up to the Power BI Service, the default location where you will publish your workbooks is the “My Workspace” area. The workspace area is a place for you to store your Datasets, Reports and Dashboards. Items that other people share with you will also be visible in your own “My Workspace”, but with a “shared with me” icon. There are 3 ways you can share from My Workspace. These methods of sharing are also available in other areas of Power BI (covered further down the page). While you “can” share this way from My Workspace, be sure to read up on the downsides of sharing this way and consider the other options further down the page. Here are the 3 options to share from My Workspace. Click on the ellipsis next to the dashboard to bring up the sharing menu. You can share to individual email addresses or to Active Directory Groups. It is possible to securely share a dashboard this way with people internal to your organisation (email domain) as well as with people outside of your organisation. Sharing this way allows you to make the material publicly visible over the web. You can get an embedding code to publish the material via a web page (see this example in a recent blog) or you can get a link that you can send to anyone. But be careful! Even if you send the link to a single person, the material is available to anyone that has the link (or can find it, hack it etc) – no password required. A Content Pack is a bundle of Datasets, Reports and Dashboards that can be distributed to defined users in your organisation. When you create the Content Pack, you can specify individual users or groups of users via Active Directory. The benefit of sharing via Content Packs is that you can bundle relevant material and share with only those that need it. They can choose to access it only when they want it. Here are the pros and cons of sharing this way from My Workspace. Remember it is possible to share using these methods from a Group Workspace too – more on that below. It is free for the first 2 options, but you need a Pro License to create a content pack (option 3). It is easy to share very large workbooks with other users as long as they have an account too. You can stop sharing the content at any time by going back into the share options in the service and removing the sharing approval. It is difficult to easily spot the dashboards you have shared from the My Workspace Dashboard view. My Workspace can get very crowded with ad hoc reports and dashboards for your personal use, and these can then get in the way of shared material. If you have a role to share material within an organisation (eg Business Analyst sharing material), then what will happen when you go on leave? No one else can access your workspace. There are better ways of doing it by using Group Workspaces. If you are serious about sharing material, then you really should start using Group Workspaces. Group Workspaces are a Pro Licence feature, but it is almost a must for any organisation serious about sharing content via Power BI. More than one person can publish, edit and manage all content within a Group Workspace. One or more people can administer user access to the Group Workspace. If the original author is not available (ie they are on holidays or they leave the company) then someone else can take ownership of the material without starting again from scratch. You can have as many Group Workspaces as you need, and these can be based on any group categorisation that works for you and your organisation. When you have your shared material in a Group Workspace, there is no confusion as to what is your personal material and what material you have loaded for the purpose of sharing (see below how you can categorise the Group Workspaces). Once you have decided to use a Group Workspace, you have the same sharing options as covered earlier with all the same benefits. The final method of sharing is to share the Group Workspace itself. You can of course share the Group Workspace for the purpose of “administration”, but you can also share with the purpose of Group Collaboration and/or Content Sharing. You have the ability to set access for individuals to be either an administrator or a member. Admin always has full privileges. Members can be configured by an administrator to either be all “editors” or all “viewers” depending on the group requirements. One limitation is that you can only share a Group Workspace with individual email address users, not an Active Directory group. If you think that is just wrong (as I do), then please vote here to have this changed. Hopefully this article has helped you gain a deeper understanding of the sharing options available with Power BI. Microsoft has announced it is reviewing a new idea called Private Publish to web, so keep an eye out for that, and vote for it if you like the idea. Excellent article. It brings some clarity to a sometimes confusing subject. Question: Are companies putting their sensitive financial data on the cloud (ie ‘Publish to Web from My Workspace’)? How secure is it? The Power BI capabilities are great and I want to share dashboards via a browser but how do I address these security concerns? Personally, I would not be making the decision myself, but getting the company information security manager to make a call. I think the risk is low, but you have to balance that against the consequences if someone did access it. And could people copy the link once the accessed the extranet? The Private Publish to web is under review – consider using that. Plus direct share of dashboards also is secure and can be shared with external parties now. Matt, thanks for the helpful information. Sharing Group Workspaces and Private Publish to Web just racked up a few of my votes. Really surprised that Sharing Group Workspaces (as of now) has only a few votes! If only people who have not voted yet would add their support, what a fantastic facilitator Group Workspaces would be! Great post – This answered a few of my questionsl – Thank you Matt. I just read it, fantastic !!! Am I right in thinking that if I’m the publisher only one Power BI pro licence is required? I don’t think it is related to who publishes it. In order to receive it via a content pack or group workspace, you need a pro licence. If you share via dashboard, the receiver can’t see the report or dataset.